Staffordshire’s best tourism businesses are to be announced at a prestigious awards ceremony next week. 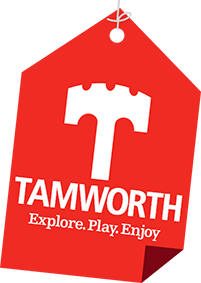 The countdown is on to the biggest and most popular event in Tamworth’s calendar as the FREE fireworks spectacular returns with a breath-taking display to light up the skies above the Castle Grounds. Drayton Manor Park’s Sky-Fi Fireworks Spectacular, A Galactic Gathering, is only days away! This year, the festive celebration is set to be bigger, better and more magical than ever before as the popular family attraction celebrates a decade of fantastic festive fun, and tickets are now on sale! Tamworth in Bloom strikes gold for the eighth year! Tamworth has gold fever following another successful year in the Heart of England in Bloom competition – striking GOLD for the eighth year in a row. They say good things come in pairs and that’s definitely the case at Drayton Manor Zoo, as the Tamworth attraction has welcomed two Pygmy Marmosets, born on Tuesday 27th June.